More than ever in her nearly two-year tenure, Marissa Mayer needs to find the exclamation point in Yahoo’s business. After the company sells something like half of its 22.6 percent stake in Chinese e-commerce giant Alibaba, the Yahoo chief executive could have $12 billion on hand. Spending it wisely will be tough. Last time it sold Alibaba shares back to the Chinese company, the U.S. firm used most of the proceeds to repurchase stock – just under $6 billion worth since the start of 2012, the company said during its first-quarter earnings call last month. However, Yahoo’s share price has more than doubled over that period, so purchasing stock has become a pricier use of cash. While the rise in market value to about $34 billion since Mayer took over in July 2012 partly reflects her leadership, it also owes plenty to hype over the value of Alibaba, expected to tip the scales well into 12 figures. Yahoo’s stake accounts for almost 60 percent of its own worth at a $130 billion valuation for Alibaba. Yahoo is supposed to sell about 9 percent of Jack Ma’s e-commerce creation when Alibaba goes public. That would add perhaps $8 billion after tax to more than $4 billion of cash and equivalents on Yahoo’s balance sheet. Yahoo wants to be part of everyone’s “daily digital habits” whether in search, communications or content, according to Mayer. Distinctions, like whether Yahoo is a technology or media company, don’t matter to her. Yet although reported search revenue rose in the first quarter and display ad revenue halted previous declines, it’s hard to see where real growth will come from. That could tempt Yahoo to throw money at acquisitions or costly internal projects, especially once a smaller stake in a separately traded, and easily valued, Alibaba offers less cover. 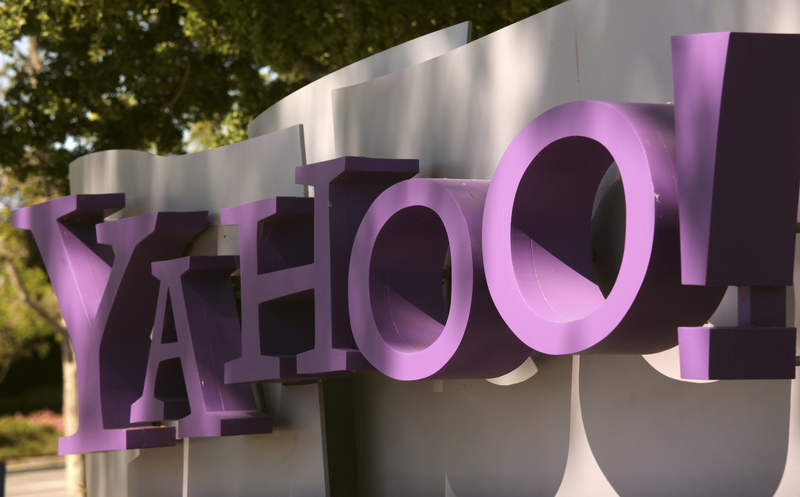 To persuade her shareholders Mayer needs a clearer sentence or two when it comes to defining Yahoo’s business – before splashing out on punctuation. Is this the last time Yahoo's earnings matter? Alibaba, the Chinese internet commerce giant, on May 6 filed for a U.S. initial public offering. Yahoo, which owns a 22.6 percent interest based on figures in Alibaba’s filing, has an agreement with Alibaba to sell 208 million shares, about 9 percent of the Chinese company and nearly half its stake, at the time of the IPO.